We're Here to Help you Prepare for Easter or Passover! We’re Here to Help you Prepare for Easter or Passover! Passover Wines (Mevushal) on the left, Easter wines on the right! We’re Hard at Work Making Sure you Have the Best for your Easter or Passover Celebration! 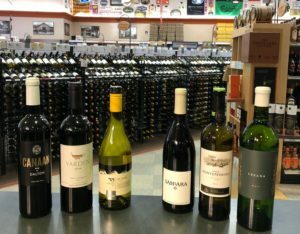 We have 14 wines that are Kosher for Passover (Mevushal) as well as Manischewitz, on top of our collection of other Kosher wines. We also picked out some special wines to feature for Easter (a couple of outstanding sale items here) for those of you celebrating that holiday! If you need something different we’d love to be able to help!